Iran's President Hassan Rouhani has blamed the US and regional powers, including Israel, for a deadly suicide attack against the country's Revolutionary Guards that occurred the day before in southeastern Iran, Iranian state TV reported on Thursday. "The crime will remain as a 'dirty stain' in the black record of the main supporters of terrorism in the White House, Tel Aviv, and their regional agents", Rouhani said. Besides Israel, the Iranian president hasn't named other regional states, he believed were responsible for the attack. Damascus has strongly condemned the recent deadly terrorist attack in the southeast of Iran and believes that the tragedy indicates a close link between terrorists and a number of powers and the United States seeking to destabilise the region, the news agency SANA reported on Thursday, citing a Syrian Foreign Ministry source. The Syrian Foreign Ministry source claimed the "coward attack" proved the "organic" link between such Islamic terrorism and powers led by the United States that seek to destabilise the region. "The Syrian Arab Republic condemns in the strongest terms the heinous terrorist attack which targeted a bus transporting members of the Iranian added", the source added, as quoted by the agency. The source also extended deep condolences to the families of the victims and wished a speedy recovery to the injured. 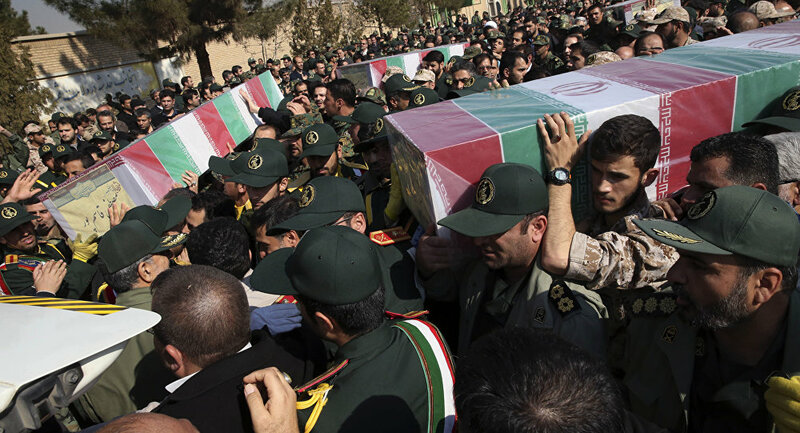 On Wednesday, Iranian media reported that an individual in an explosive-laden vehicle had targeted a bus carrying a number of Islamic Revolutionary Guard Corps (IRGC) personnel in Sistan and Baluchistan province. According to the latest data, 41 people, including the military and civilians, were killed in the attack. The Jaish ul-Adl extremist group, linked to the al-Qaeda terror organisation (banned in Russia), has claimed responsibility for the attack.